A review of Clearwater Select Health Insurance Company leads to the Hudson Insurance Group of which Clearwater Select Insurance is a subsidiary. 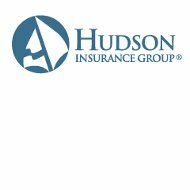 All information, products, and history concerning Clearwater are communicated through Hudson Insurance Group, a specialty insurance underwriting company based in New York. Clearwater Select Insurance owner Hudson Insurance Group is located in New York City, but there are additional offices located in other states. Hudson is owned by OdysseyRe, which is an insurance giant with worldwide operations. Last year they reported over $10 billion in assets and over $3 billion in equity from shareholders. Hudson has been consistently rated by A.M. Best Company. A.M. Best is an independent insurance rating company that rates the financial stability of insurance companies. A.M. Best looks at the viability of the company should all the policies they have written need to be filled simultaneously. The company’s assets outweigh their policies. Hudson has consistently received at A or superior rating from A.M. Best. The personal auto insurance plan covers liability or full coverage but is available only in the state of California. Clearwater Crop insurance is for farmers in the upstate New York area who want to protect the livelihood their crops bring. Clearwater uses technology to map out the land where the crops are located to assess risk and help farmers make insurance decisions. Clearwater Environment insurance covers small to mid-sized environmental businesses as well as companies that have above or underground storage tanks. Clearwater marine insurance is for industries that work in exclusively in marine areas. Some examples of the industries covered are drilling contractors, oil service contractors, pipeline operators, and oilrig operators. Nutraceuticals is a new type of industry. Insurance coverage in this area is for nutritional and supplement companies that sell energy bars, energy drinks, and other supplemental products. It covers liability up to $2 million. Clearwater’s personal umbrella coverage is meant to fill in the gaps of other insurance coverage. If an incident on your personal property leads to a lawsuit, umbrella insurance will cover the legal expenses and protect your assets. Professional umbrella insurance is also available for those who want this same type of protection for their businesses. When it comes to filing claims with Hudson, they strive to make the process go quickly and smoothly. To expedite the processing of claims, each product line has its own claim professionals working to process the information. This ensures that someone who is very familiar with the particular type of claim you are filing, is working on your claim to make the turn over time as short as possible. Claims can be filed either through an e-mail or by calling a toll free number. Further instructions concerning what you have to do to file a specific claim are available with each policy you receive. Following the guidelines as closely as possible means that all the correct and pertinent information needed can be gathered in a timely fashion. Because of the nature of business claims, it is important that the individual employees involved in the accident or damage leading to the claim are available to answer any questions that Clearwater Select may have. Even if your business has its own department that handles the reporting of insurance claims, the individuals involved with still need to be interviewed and fill out paperwork.